Entry by Exceel on Sun May 15 08:30:03 2011.
oh no, my ****ing god! There should be one for Gokudera XD But this is awesome! I love JAPAN!! I had a spazz and a nosebleed looking at this!! The golden glow given to him is just perfect! 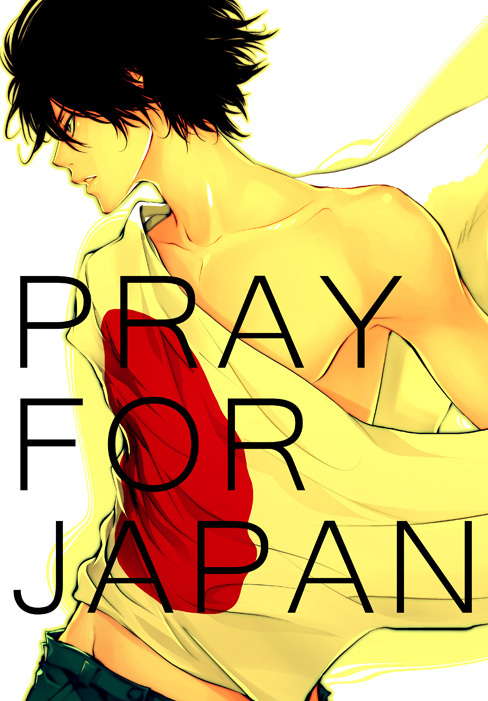 the hottest "Pray for Japan" I have seen!!! ...i would've said this was Japan-sama...and that it was the sexiest Japan i've ever seen...until i saw the tags. ._. How can I pray for Japan if I already died from a nosebleed? ^Fangirls are so funny~! XDDDD LOOOOL!!! !